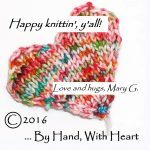 Knitting … and talking about knitting …. … which was a precursor to this week in that we were prepping for Spirit Week with Homecoming Football game this Friday night and Homecoming Dance on Saturday (also dh’s birthday). Lots going on but it’s all good AND we have Monday off for Columbus Day so we’re in good shape. Last week started off with my birthday … of which I’ve already written … and then I had a spectacular week with volleyball (3 days of games … incl one batch at Catie’s old high school, Seton in Manassas) where we won all the games. We also did tons of things SLA-ish (with the impending Spirit Week looming … and HoCo right behind). 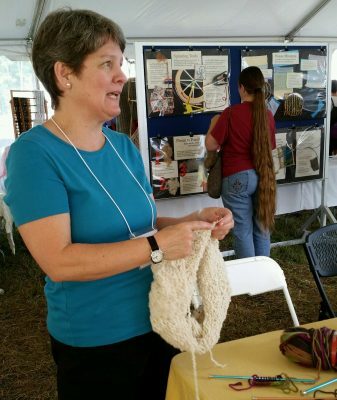 But the best thing of the week: a renaissance of knitting … and teaching knitting … and talking about knitting! The annual Montpelier Fall Fiber Festival and Sheep Dog Trials was this weekend – Saturday and Sunday. On Saturday, I was scheduled for a 3-hour class all about how and when to use increases and decreases. Surprisingly, I FILLED the three hours, taking a quick 10-minute break … and still had more I could have told my students. What a blast to be back in the teaching-saddle again! On Sunday, Maggie & Catie came with me as I was scheduled for demo’ing knitting, including “stump the chump” as the knitting help-desk operator. We had such a great time, touching base with dear Jane Hammond, owner and cashmere-breeder extraordinaire of Spring Gate Farm in Barboursville. She was having a fabulous weekend and even had to order more patterns from me to re-stock before heading to Rhinebeck. A great weekend all ’round! Check out all the news next week! P.S. Looks like we might have a buyer for our house … so scrambling to find a townhouse closer to work/school to cut back on the commute that, last week, was averaging 90minutes EACH way (a couple of trips over TWO hours). Too much wasted time … better spent knitting, yes???? Prayers would be MUCH appreciated! Praying, praying, praying for the successful selling of the house! Thanks Linda … we would miss living out here … but NOT the traffic or distance to school activities!